Stade de France is the largest stadium in France and the stadium where the French national team plays its most important home matches. Stade de France got built to serve as the centrepiece of the 1998 World Cup. 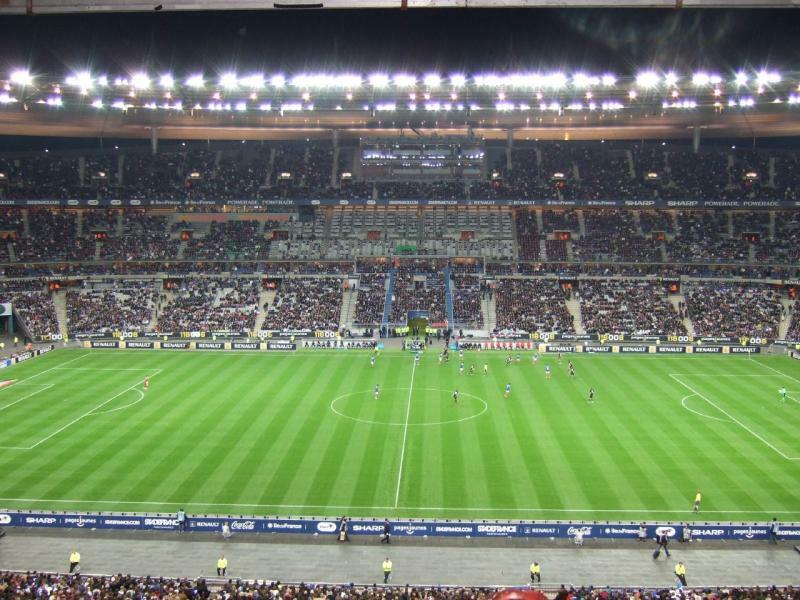 At that time no stadium in France had a capacity of over 45,000 and the tournament needed a 70,000+ stadium. Construction of the stadium began in 1995 and after 31 months, on the 28th of January 1998, it officially opened with a friendly match between the national teams of France and Spain. Zinedine Zidane scored the first and only goal of the match. During the 1998 World Cup, Stade de France hosted nine matches, among which the opening match between Brazil and Scotland (2-1), the semi-final between France and Croatia (2-1), and the final between France and Brazil (3-0). The stadium has also hosted two Champions League finals, the first in 2000 between Real Madrid and Valencia (3-0), and the second in 2006 between Barcelona and Arsenal (2-1). 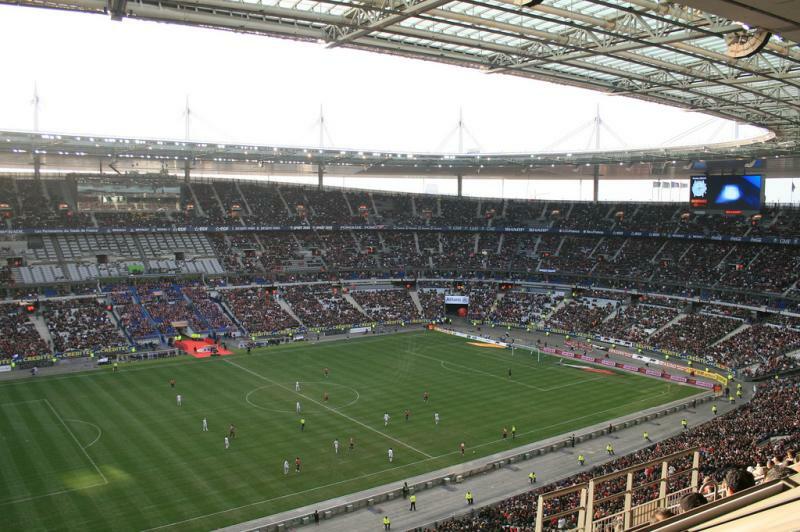 In 2016, Stade de France once again hosted the final of a major tournament when the European Championships were played in France. On top of the final between Portugal and France (1-), it hosted four first round group matches, one round of 16 match, and the quarter final between France and Iceland (5-2). In 2015, Stade de France was the site of a terrorist attack when three suicide bombers detonated bomb vests outside the stadium during a France vs Germany friendly international. One suicide bomber had tried to enter the stadium, but his suicide vest was discovered during security checks. He then blew himself up, killing one bystander. The other two suicide bombers did not kill any innocents. Stade de France is located in the Parisian suburb Saint-Denis, approximately 3 kilometres north of the city limits of Paris, 5 kilometres north of Montmartre, and 8 kilometres from the Louvre museum. Two motorways run directly past the stadium, the A1 (which connects with the centre of Paris and the Peripherique further south) and the A86. 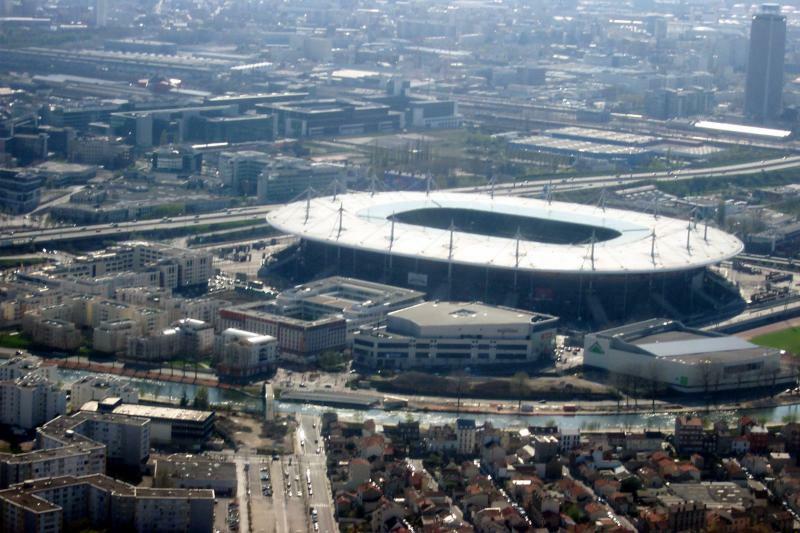 From the A1 take exit 2 Stade de France and from the A86 take exit 9 Saint-Denis – La Plaine Stade de France. To reach the stadium by public transport you can either take the metro or the RER (metro extension). Both RER lines B and D can be taken from station Châtelet (10-minute ride) and Gare de Nord (5-minute ride). If you take line B, get off at station La Plaine Stade de France. If line D, get off at Stade de France Saint Denis. Tram line 1 furthermore connects the stadium with Paris’ eastern suburbs. The area around Stade de France is certainly not a highlight of France. It is a mix of the typical residential suburb, low-rise office parks, and industrial estates, and there is little entertainment around. It is a short metro ride from Paris’ city centre to the stadium though, so focus your eating and drinking on the many options available in the centre. If you do wish to stay as close as possible to the stadium, e.g. to avoid the queuing for public transport after a match, then there are few hotels around, many of the typical mid-level chain type. There is a Novotel right opposite the stadium. It gets decent reviews, though expect to pay at least €100.00. There is also an almost similarly priced Ibis Hotel near metro station La Plaine, and the Adagio Access hotel near station Stade de France. For those on a budget, Hotel Campanile is the most affordable option, though this means a bit of a walk in return. If you have more money to spend, then the Courtyard by Marriott will likely have your preference. 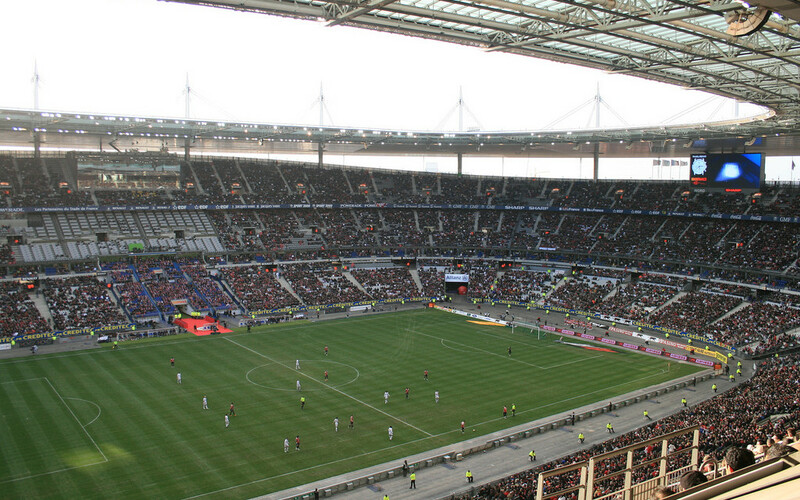 For all hotels near Stade de France click here. 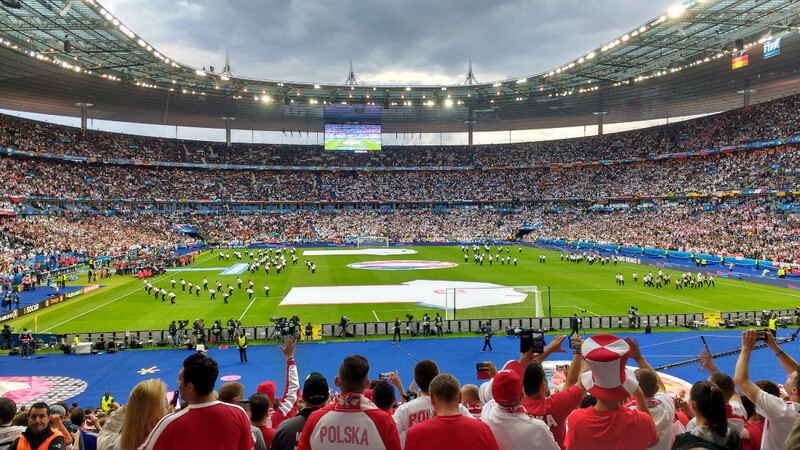 If you prefer to stay in Paris’ city centre but want to have easy transport connections to the stadium, then staying near Gare du Nord is an option. Remember that areas around large railway stations tend to get slightly dodgy at night, in which case you might also want to consider a hotel at walking distance toward the Montmartre area. Staying near Gare Saint-Lazare also gives you easy transport options, but hotels tend to be pricier in this area. More options in Paris’ city centre here. No club team currently occupies the Stade de France as Paris Saint-Germain play their home matches at the Parc des Princes. Ticket for matches of the French national team can be bought online on the Stade de France website (which also sells rugby tickets), and the website of the French Football Federation. Stade de France offers guided stadium tours that include visits to the presidential lodge, changing rooms, players’ tunnel, and a museum that is dedicated to the construction of the stadium and the events that have been held over the years. The tour lasts about 60 minutes and a further 30 minutes can be spend at the museum. Tours run every day of the week with some variation depending on the season. French language tours typically run five to six times a day between 10:30 am and 4:00 pm, while English language tours tend to run twice a day at 11:00 am and 2:00 pm. Check the Stade de France website for an up-to-date schedule. There are no tours on the day of an event and the day before an event. The tour costs €15.00. Reservations can be made through the website of the Stade de France or by phone +33 (0) 892 700 900, but aren’t necessary as tickets are sold on a walk-up basis. 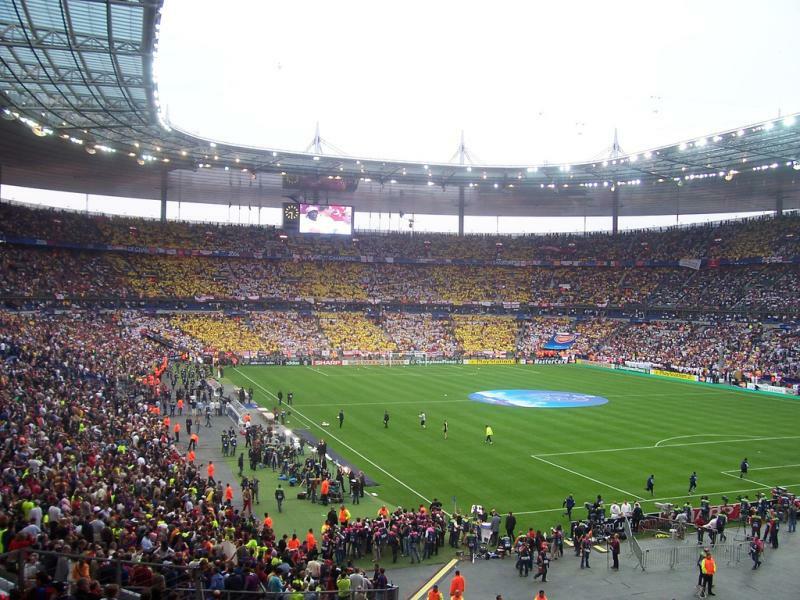 Stadedefrance.com – Official website of the Stade de France. Outstanding. Just attended a France vs New Zealand rugby game. The metro is about a 10 minute walk to the first of two security checkpoints. Both checkpoints were fast and efficient. Food is after the first checkpoint and prior to presenting your tickets which is just before the second checkpoint. We ate a a Quick (it was really quick and you can eat indoors and sit down). I would arrive at the outside checkpoint at least 1.5 hours prior to the event. We were in H-1 on row 15. It rained a little and you will get wet in these higher prices seats. Additionally, I thought maybe higher up would give a better view. You will get no closer than about 50-75 feet to the playing field even if you are on row one. Some say no booze in the stadium. This is not correct as you can get it at the concession level or by the vendor coming by the rows with a keg on his back. COOL. I am an American and some of the reviews for this stadium, in my opinion, do not do it justice. It is as good as some of the best US sports stadiums. I thought it was great. Very clean, seats fine but a little tight if two large guys happen to sit next to one another with winter coats on etc. Easy to leave the stadium. It was packed, I did not see one empty seat and we were on a metro within 15 minutes and we, like almost all others, did not leave the game until it was over. Stade de France is an amazing stadium. It is very young but it has already welcome numerous world events like the football world cup, rugby world cup, iaaf world athletics and so much more to come! It is one of the rare places in which you can feel the heart of France beat. What’s more it is very modern and clear, its roof made in glass brings the sunlight everywhere in the stadium. The staff is nice and helpful. A great time in beautiful Paris! I was a bit dissapointed with this stadium. It seemed to me very miserable place. It is massive and modern but it did not impress me at all(grey colour everywhere). Staff around is very friendly. Area is very quiet and busy during the events so plan in advance. I recently was in France with my school and we got an excellent tour around the stadium by a tour guide named Reuben! He was absolutly amazing and made it an experience worth while! I’d highly recommend going there! I recently attended a Lady Gaga concert here and the stadium is fantastic, with excellent facilities and multiple access points. The only disadvantage for me was when the concert ended everyone of the 75000 audience were all chanelled in a single direction toward the one metro station, there were no taxi ranks at all and nowhere for anyone to park if they were collecting anyone. Imagine all 75000 taking the metro, with this as the only available transport the result was chaos. Twice I was nearly trampled by the crowds, and it took me more than 2 hours to get on a metro trains because of the queues. My advice is either leave early, get somebody to agree a place to collect you (not easy) or pre book a taxi collection.